The New Mexico and Arkansas legislatures both defeated bills that would have legalized assisted suicide. Writing in LifeNews Thursday, Alex Schadenberg, who heads the Euthanasia Prevention Coalition, reported that bill HB 90 in New Mexico has been tabled. The legislation, which was later amended, was, in his view, the most radical bill of its kind in that the language provided for euthanasia and allowed the practice to expand. The New Mexico bill, which was known as the Elizabeth Whitefield End of Life Options Act, passed through two House committees earlier this year, but was quietly tabled in the lower chamber of the legislature in late February, The Santa Fe New Mexican reported this week. “At the time we are just a few votes shy to pass the bill,” said Rep. Deborah Armstrong, D-Albuquerque, who sponsored the legislation along with Sen. Elizabeth Stefanics, D-Cerrillos. “What we do have, though, is the drive and the commitment to keep building momentum, to keep reaching out to legislators on both sides of the aisle and to keep educating people about medical aid-in-dying … something like this takes time,” Armstrong said. The bill would have allowed medical doctors to prescribe life-ending drugs to those who wish to end their suffering and take their lives. The New Mexico legislation was awkwardly worded, Schadenberg said in January, having previously understood it to mean that the bill would enable "suicide tourism," allowing people from other states to come to New Mexico for assisted suicide. A bill that would have allowed assisted suicide in Arkansas also died Thursday. The News & Observer reported Tuesday that the Arkansas measure died in the House Public Health Committee after it failed to receive a motion to send the bill to the chamber floor. The bill, which was sponsored by Rep. Dan Douglas, R-Bentonville, would have added an exception to the state's existing ban on physician-assisted suicide. "Douglas' proposal would not have required doctors or health care facilities to participate in the procedure. A patient under the proposal would have to ask a doctor twice within 15 days to write a prescription for a lethal dose of drugs before the doctor could fulfill the request," the Arkansas outlet reported. 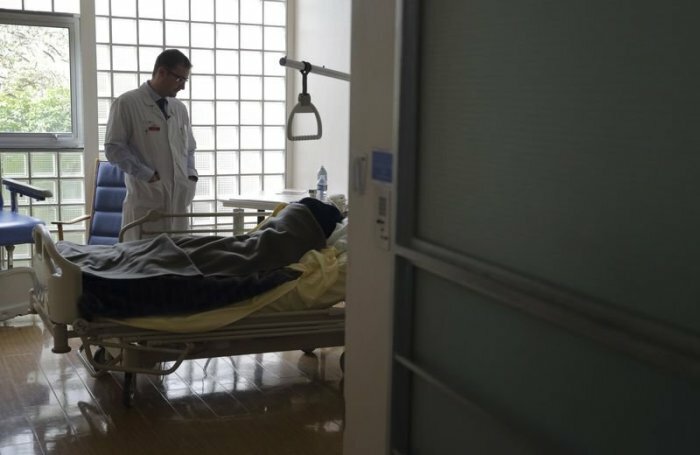 As of the beginning of 2019, physician assisted suicide remains banned in most U.S. states but is legal in California, Colorado, Hawaii, Oregon, Vermont, Washington state and the District of Colombia. In Montana, physician-assisted suicide has been legal by State Supreme Court ruling since 2009.